I've been having great conversations with many of you this past week - but you know what? You guys are mad... Some of you have tried to host a teleseminar before - only to have a trickle of people show up. Some of you have revealed a brand new program to your tribe - only to have no one enroll. Some of you have attempted to get people on your list to talk to you - only to hear crickets chirping. And instead of feeling like you're "there" - like you've figured it out - you are feeling like curling into the fetal position. Why didn't I get (insert clients, cash, or instant fame)? My coach/mentor/guru said it would! I'm never going to succeed at this entrepreneurial thing (maybe I should get a job)! Why can everyone seem to do this but me? This "failure" is not you! When potential clients come to me feeling like their past launch or other marketing efforts didn't work, we get curious. We look at every step of their launch and see what was missing or what was lackluster - and then (the best of all) - what we can do to improve the results the next time. Because chances are there's lots you can do! 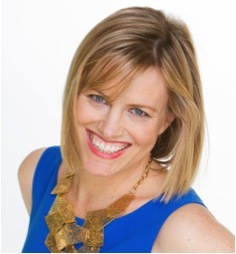 What makes my approach and the Be A Launch Queen Program different is that we look at the big picture - the birds' eye view of your success, and then we dive down into specific areas. You know - I could create separate courses on EACH of these 4 phases because there's so much to cover. But I designed this course with the best pieces to set you up with the bigger picture so that you can truly see WHY you are doing what you are doing and HOW to do it most effectively…. because if you don't know where you are headed with a marketing strategy you're going to end up somewhere else. Why not get the big picture NOW - templates, timelines and checklists - so that you can truly see the road map for your success? Join us for the Be A Launch Queen programto do just that. And if you are thinking, "Well that didn't work!" from some of your previous marketing efforts and you just want a sounding board, then I am opening up my calendar for 15-minute Next Step phone conversations with you!Details here. P.S. 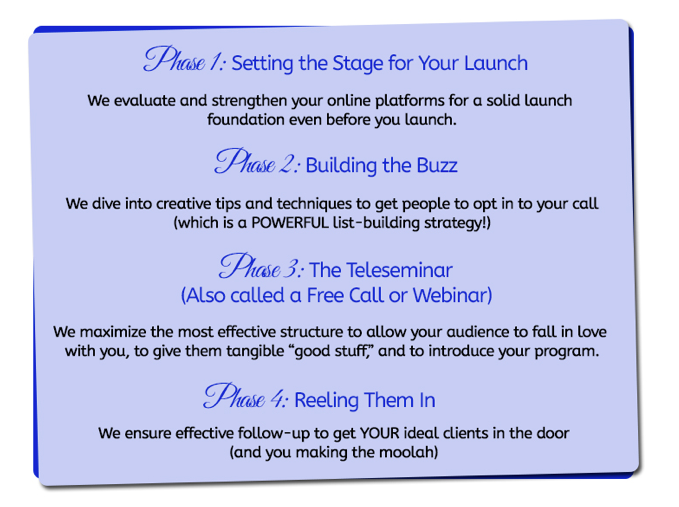 If the Be A Launch Queen Program is calling your name (I'm not sure if I'll be offering it live again) then don't wait - enroll now.